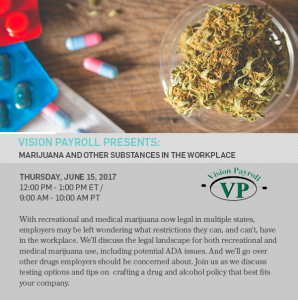 With recreational and medical marijuana now legal in multiple states, employers may be left wondering what restrictions they can, and can’t, have in the workplace. We’ll discuss the legal landscape for both recreational and medical marijuana use, including potential ADA issues. And we’ll go over other drugs employers should be concerned about. 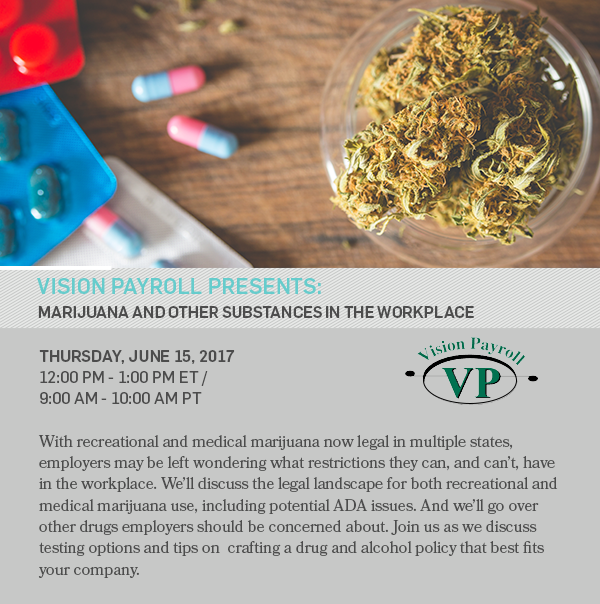 Join us as we discuss testing options and tips on crafting a drug and alcohol policy that best fits your company. How Do I Register Vision Payroll as My TPA in QUEST?